Florida's new Medicaid Managed Long-Term Care (LTC) Program has two broad goals – improvingservice quality and cutting costs – that some observers think may not always be compatible. Strongoversight and the availability of timely information about program performance and beneficiaryexperience can help ensure that quality services are delivered even as savings are achieved. Information about how beneficiaries, providers and plans are faring is essential to efforts to refine and improve program operations. Data on plan performance also can be used to help beneficiaries make informed choices among competing managed care organizations. This publication provides general guidance related to planning, sponsoring and conductingLong-Term Care program monitoring activities. 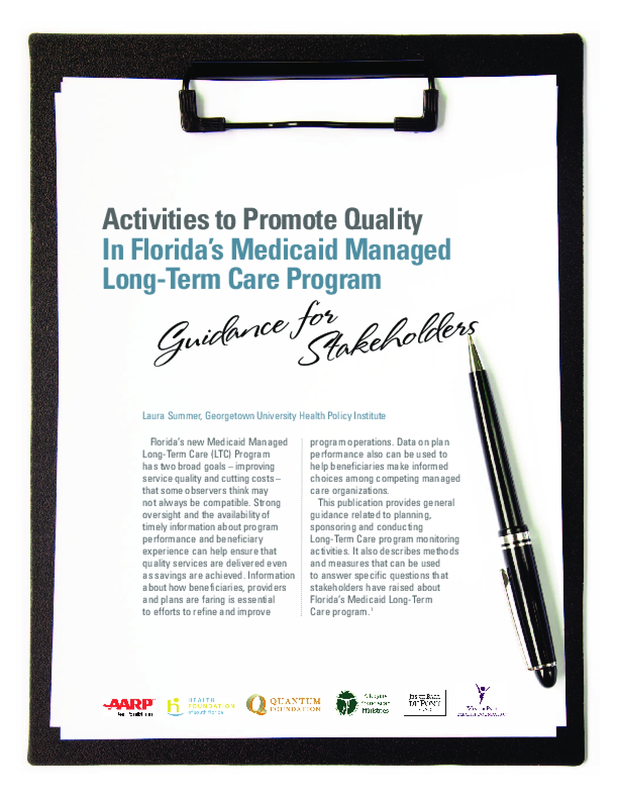 It also describes methods and measures that can be used to answer specific questions that stakeholders have raised about Florida's Medicaid Long-TermCare program. Copyright 2013 by Georgetown University Health Policy Institute. All rights reserved.